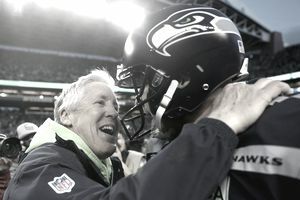 What Can You Learn From Pete Carroll? In the United States, football is the most popular spectator sport as evidenced by television ratings and the near-holiday status conferred on the Super Bowl each year. There was even an attempt to make the Monday after the Super Bowl a holiday, to let the nation recover from its enthusiastic "pursuits" on Super Bowl Sunday. And the leaders of the two teams that meet each year in the big game draw an extraordinary amount of attention. The Super Bowl XLIX matchup between the Seattle Seahawks and the New England Patriots featured coaches Pete Carroll against Bill Belichick. Most football fans know these coaches best based on the success they have had with their current team. But the stories of how they arrived in those positions is important, too. Examining the careers of these two coaches reveals many lessons that may be applicable in your own career. The first part of this article featured Bill Belichick. This installment focuses on lessons that can be drawn from Pete Carroll's career. To Become a Success Quickly Takes a Long Time From 1973 until 1983 Pete Carroll coached at the collegiate level, employed at five different universities during that ten year span. His first National Football League job came in 1984 with the Buffalo Bills, followed by stints with the Minnesota Vikings and the New York Jets. That's twenty years as an assistant coach in the collegiate and professional ranks before securing his first head coaching position. That's a long time learning and perfecting his craft - and undoubtedly required patience and dedication. Are you willing to spend years in dogged pursuit of your career goal without becoming frustrated and pursuing a different line of work? Carroll certainly was. If at First You Don't Succeed, Try Again In 1994 Pete Carroll was named the head coach of the New York Jets. At the end of that season, after a 6-10 record, Carroll was fired. Can you imagine spending twenty years to land your "dream job" only to lose it in one year? How would you react? Carroll picked himself up and landed the defensive coordinator position with the San Francisco 49ers, rebuilding his resume over two seasons and being hired as head coach of the New England Patriots for the 1997 season. He was fired after just three seasons, despite. a 27-21 record. Despite this setback, Carroll persevered and changed his career prospects by leaving the NFL. If You Prove Valuable in One Industry, You May Be Able to End up Back Where You Want Carroll's next coaching gig was with the University of Southern California. At the time, leaving the NFL could have been viewed as a setback. And Carroll was not even USC's first choice. But after a tough first season (6-6), Carroll hit his stride leading the Trojans to seven consecutive seasons of 11 or 12 wins. After one more year at USC, he was offered the head coaching job with the Seattle Seahawks that he has held since 2010. While it may be a stretch to characterize the NFL and college football as different industries, it was Carroll's tenure at USC that allowed him a third chance to be an NFL head coach. In your career leaving your current industry (for example, sports) for another similar one (hospitality, travel, entertainment) may open you to new opportunities and even enhance your resume to the point that you are able to land a great job back in your preferred industry. Looking at opportunities outside sports can enhance your resume. It worked for Pete Carroll and resulted in his hoisting the Lombardi Trophy in 2014.